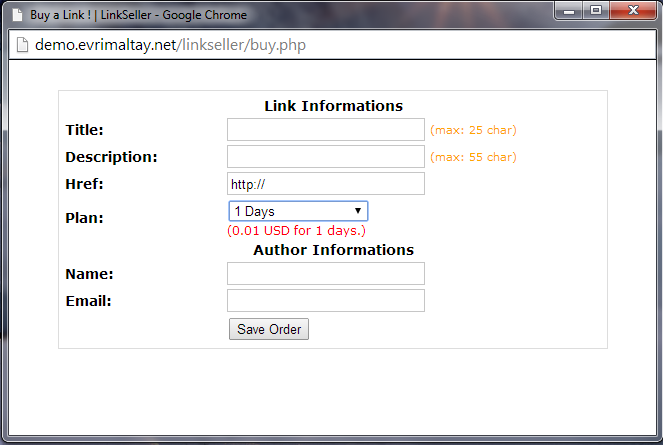 Here; manageable, editable, simple and useful link seller script. You can easily sell links for your website. PayPal IPN System is included, so you don’t need to do anything. And links are not permanent! New! 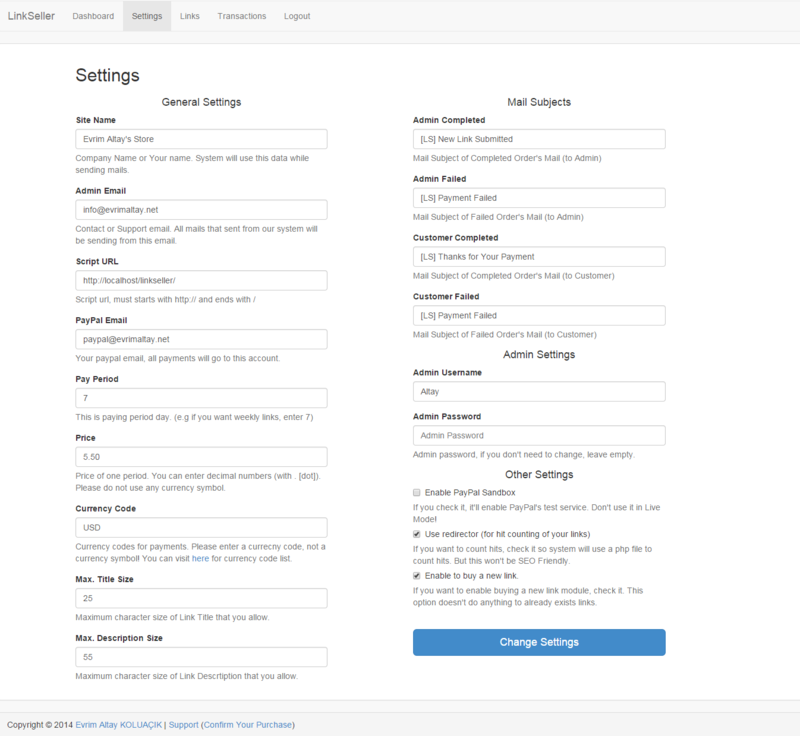 Now It supports WordPress completely with our WordPress Add-on! The Live Preview of the LinkSeller using Free website template for the example. Please do NOT look page template. Our links in the top of sidebar. Also our PayPal IPN is working. 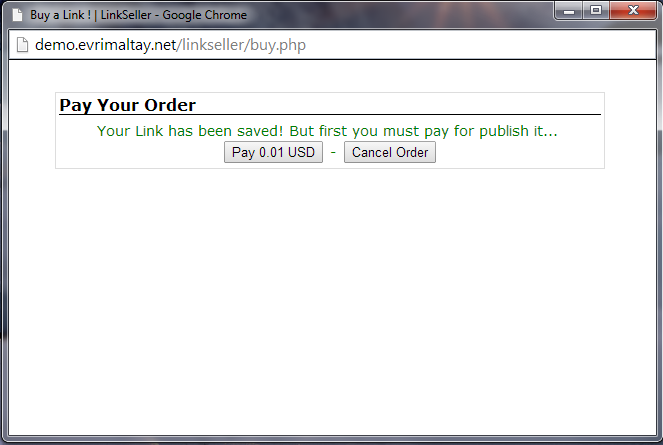 You can buy a link for 0.01$. It’s really easy to include it to everywhere. Just small code knowledge. You’ll be able to use any currency, any pay period and price. Links have their own expiry date. Also you can increase it from your admin panel. 5 default link style, also if you want to use your own style (or your theme’s style) you can do it easily! Cookie based hit counting. If you don’t want to use it (for backlink) you can disable it). Secure system for SQL Injections. Cronjob system for unpaid orders. Maximum title and description char limits.